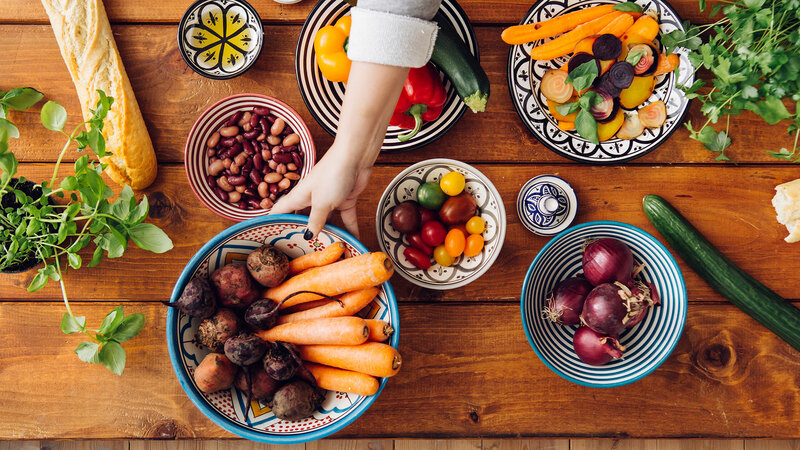 Move over, Mediterranean diet — there's a new European eating plan in town. Much like its Mediterranean predecessor, the Nordic diet also emphasizes eating fresh fruits, vegetables, nuts and whole grains, but instead of olive oil, it incorporates canola oil (also known as rapeseed oil). The Nordic diet has its roots in the cuisines of Finland, Sweden, Denmark, Norway and Iceland and appears to have many of the same health benefits as the diets of their Southern European neighbors. For instance, a 2011 study out of Uppsala University found that Nordic diets decrease the risk of cardiovascular disease, while a 2015 Danish study published in Nutrients journal indicates that it is associated with a decreased risk of developing Type 2 diabetes. In addition, a 2014 study published in the American Journal of Clinical Nutrition found that the Nordic diet could also lead to weight loss. So, what you should eat if you want to try a Nordic diet? The 2015 study looking at diabetes risk measured the participants' intake of fish, cabbage, rye bread, oatmeal, apples, pears and root vegetables, so that's a good place to start. If you need additional guidance or food ideas, take a look at the Baltic Sea diet pyramid, created by the Finnish Heart Association, the Finnish Diabetes Association and the University of Eastern Finland. Foods like Nordic vegetables, roots, cabbages, peas and Nordic fruits and berries make up the base of the pyramid, representing the foods that should be eaten most frequently. Next up are common Nordic grains, like whole-grain rye, oats and barley, which have high fiber content. After that comes fish, low-fat or fat-free milk products and canola oil. Foods like processed meat, butter, sweets, chocolate and sweet bakery products should be consumed in moderation, as should alcoholic beverages. Water is recommended to quench thirst. "There are several things I like about the Nordic diet," Lauri Wright, a registered dietitian and spokeswoman for the Academy of Nutrition and Dietetics told CNN. "First, it is plant-forward and reduces meat consumption. Second, the Nordic diet has a core principle of sustainability, emphasizing local and fresh, which I think is very beneficial for the environment and for health." So, if you're looking for some safe, healthy food guidelines, the Nordic diet might be one to try. Stock up on the cabbage and fish!